so cute!! I want one in my size lol! Thank you! This fabric came in a few more colorways, hopefully I can snag some for me too! Aah, that’s a lovely dress in a gorgeous print. And your model is so sweet! Thank you! She is very photogenic… makes photoshoots super fast and easy! That’s so pretty! I want one! That is a beautiful ponte knit! 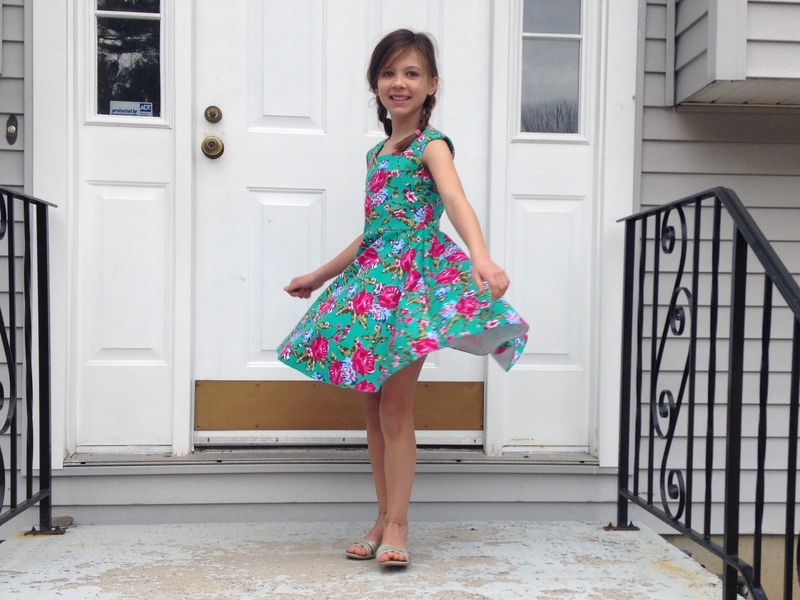 And the perfect dress as it has a “spinny” skirt! Thank you! She just can’t resist a good twirl! 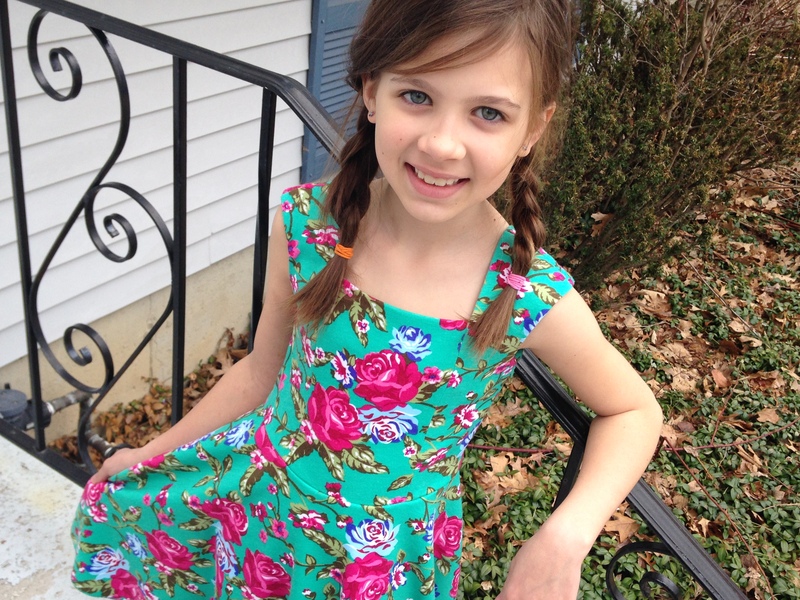 This is such a cute dress – and looks terrific on your precious model 🙂 Very nice – and love the fabric!! Thank you! I know this dress will get lots of love! Beautiful dress and very pretty fabric. 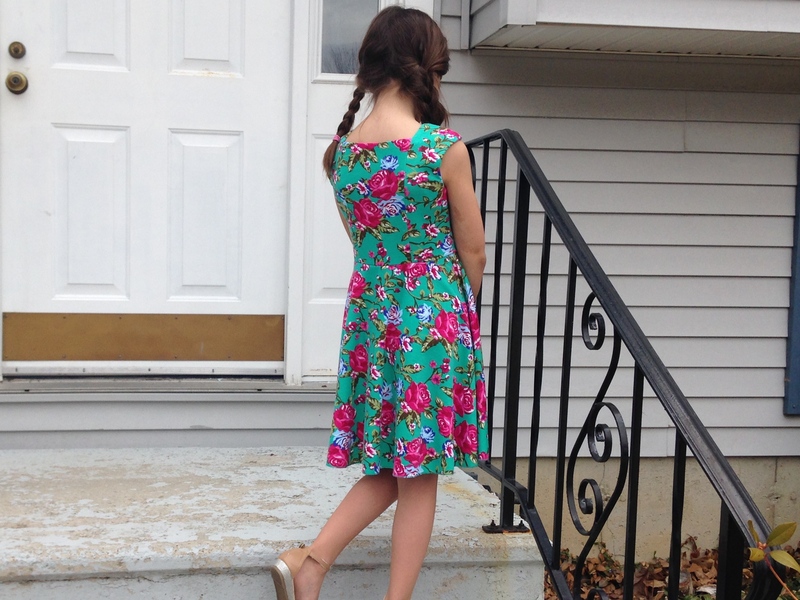 All your modifications to this pattern to suit the fabric have worked perfectly. Thanks! It doesn’t always work out the way I see it in my mind, but this time it did! You lucky mama, having three girls to sew for! I only have one. I’ve been doing lots of sewing for her this year as I really have enough clothes for myself! I’m making her Easter dress tonight. Thank you! 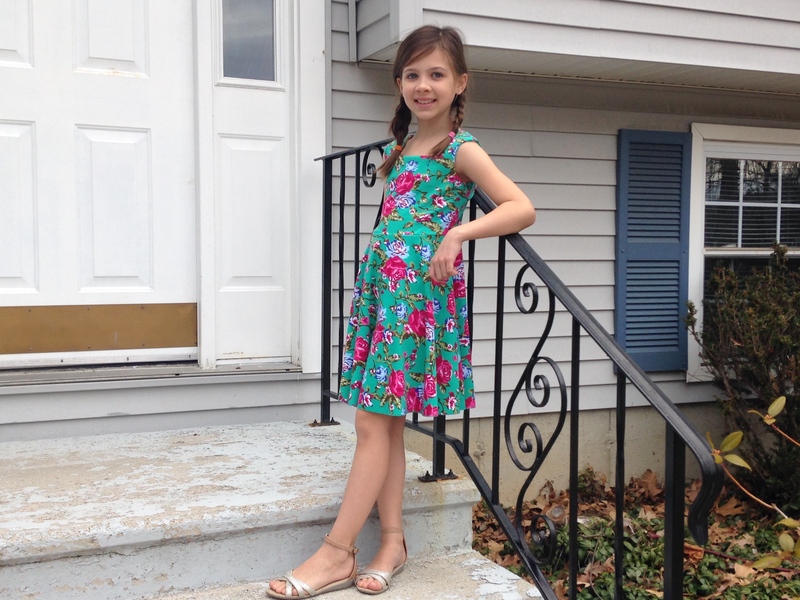 It was so fun to sew up a few kid dresses. They all love to receive “mommy-mades.” 🙂 Hope you got that Easter dress done! The flowers are perfect for spring! So pretty! Thank you! I love a good floral print. This is perfect! The colors are so fun!!! Very cute and fabulous fabric – sweet but modern at the same time. Thank you! I totally agree… sweet and modern is exactly her style! It’s very pretty and she looks very pleased with it! Good work!! That is just so darn pretty! I can see why she fell for this fabric! Thank you, Gail! This has to be one of my most favorite dresses I’ve ever made. It’s just perfect! This looks so great!! Such a fantastic print and you did some great modifications. You daughter is so cute! 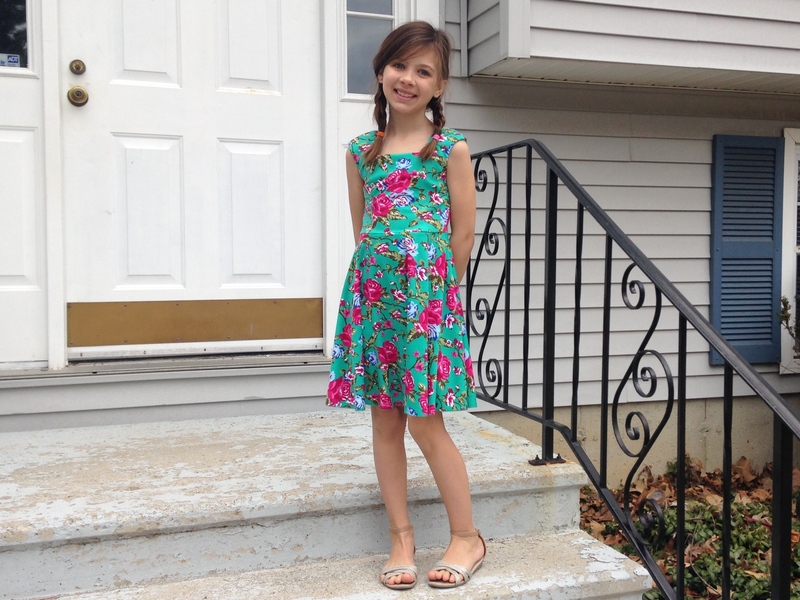 How awesome to be able to sew your kids pretty dresses! I totally want this dress for myself! In a bigger size, of course haha!